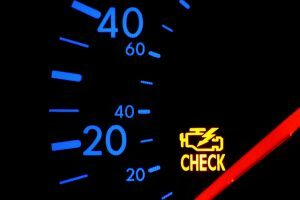 A “check engine” light may mean a heap of engine issues. It does not straight off mean that your transmission is failing. However, you have to right away bring your vehicle to Eagle Transmission to thoroughly assess what the matter is. Never drive your automobile once the light is on as a result, you may be vulnerable to road accidents. If your “check engine” light is on, call our shop so that we are able to tow your automobile. Our diagnostic is free, so you sure enough have nothing to fret about! Scan Computer Modules for any troubles codes that might be impacting the driving condition. Don’t simply flip It Off; Fix the issue. When your car’s “Check Engine” indicator comes on, it’s usually when you have something important to do. Bring vehicle to Eagle Transmission in Wylie and we’ll provide you with a Free Diagnostic! Don’t merely flip It Off; Fix the problem. once your car’s Light indicator comes on, it’s always after you have one thing vital to try and do. Bring vehicle to Eagle Transmission in Wylie and we’ll offer you with a Free Diagnostic!